Photo: Maryland Goatman Spotted in Washington DC? 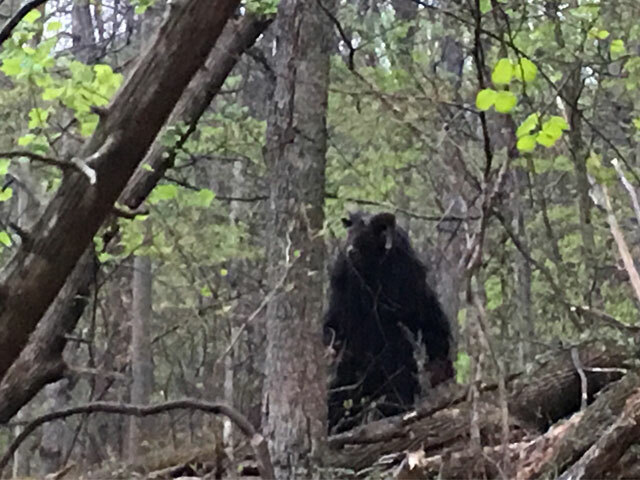 Home > Hall of Cryptids > Photo: Legendary Maryland Goatman Spotted in Washington DC? 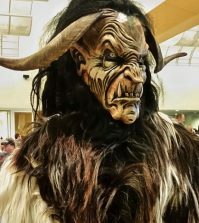 Photo: Legendary Maryland Goatman Spotted in Washington DC? A recent photo seems to show what may be evidence of Maryland’s legendary goatman. 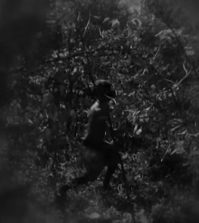 Is this Maryland’s elusive goatman? Photo courtesy of Ryan Davis. 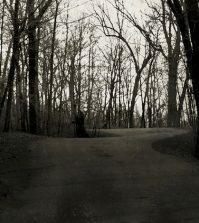 On April 25th, Cult of Weird received an email with a very intriguing photograph, which claims to be photographic evidence of the infamous Maryland Goatman, a legendary creature said to haunt several locations in Bowie, Maryland, just outside of Washington DC, including the community of Laurel, where this image was allegedly taken. I wrote a detailed history of the legend in Goatman: Flesh or Folklore?, but for those new to the legend, here are the bare-bones essentials. The creature is often described in campfire tales as strange mutation which somehow escaped from the nearby Beltsville Agricultural Research Center. He’s usually described as resembling a Greek Satyr—a bipedal humanoid with two furry goat-like legs, a human male’s upper body and the horns, and sometimes the muzzle, of a goat. I’m in DC for the GRC summit starting today and was playing tennis Saturday morning at Montpelier Park while some friends played golf at Pawtucket Greens. As we were packing up we saw something on the forest bordering the park. As I took out my camera phone it came up onto two feet and I realized it was a goat. I told some people back in DC about a goat waking on two legs and they said it was some old Maryland Goatman legend. I called WBAL in Baltimore and talked to someone about it but I don’t think they believe me. They think it’s a bear holding a freshly killed goat. They ran the story this morning. As a reader, thought you might enjoy. The urban legend itself is absolutely absurd. The creature haunts Maryland make out spots, and leaps out at passionate young couples brandishing an ax. The creature was also blamed for locally high-profile pet mutilations in the 1970s. 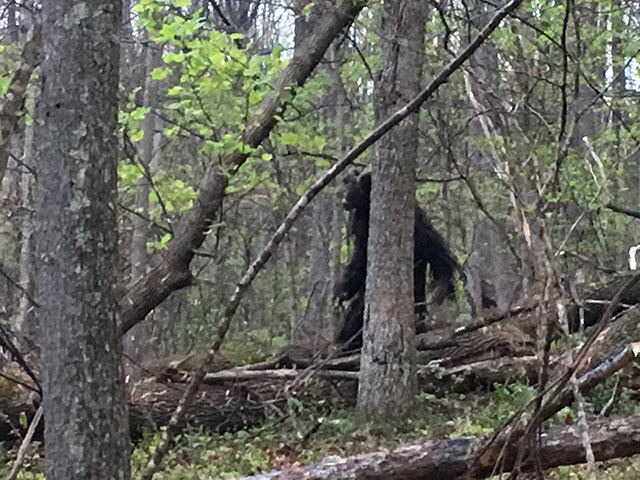 Many reputable sightings of strange creatures do occur in Bowie, Baltimore, and several other densely populated areas in and around the Washington area, though almost all of the sightings describe large, upright, hairy hominids which sound much more like the equally legendary Bigfoot. Literally hundreds of these sightings have been collected in Mark Opsasnick’s essential book, The Maryland Bigfoot Digest. Hardly any of the people who’ve allegedly seen what they call the Goatman, actually describe a creature like the one in the photo. I do not agree with WBAL’s assertion that the photograph depicts a bear carrying a dead goat. That’s asinine. The Goat’s head clearly belongs to the body of the hairy creature pictured. I do not, however, believe this to be a legitimate photograph of Goatman. 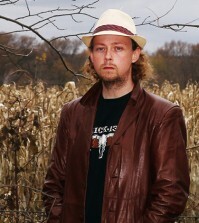 I would never accuse the photographer of being untruthful, but I do believe he, himself to be the victim of a hoax. The whole thing is just too good to be true. It’s a great photograph. It isn’t blurry (meaning the creature wasn’t trying to avoid human beings just several feet away), and the only part of the creature’s body that’s hidden is the legs. The trickiest bit of any decent satyr costume are those utterly bizarre backwards bending goat legs—take it from someone who knows—Halloween costume parties are cutthroat affairs in my family. Perhaps the most suspicious part of the anatomy is the location of the head—low on the shoulders, creating an almost humpbacked appearance. A human’s head and shoulders could easily be concealed in the interior of a costume while a taxidermy-ed goat’s head is displayed to the prankster’s victims. The Internet lost its collective mind Thanksgiving weekend, 2015, debating the existence of the creature after a MoviePilot.com article brought the creature’s alleged existence to the world’s attention once more. Five long, cold months is plenty of time for a hoaxer to build a clever costume, to have fun with come Springtime. 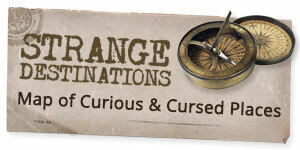 If further photographs and sightings occur in the coming days I could change my tune. I hope this is real. I WANT this to be real. But to my eyes, it’s just too good to be true.